Has anyone here ever seen a UFO on a miltary base? I don't recall what that is. 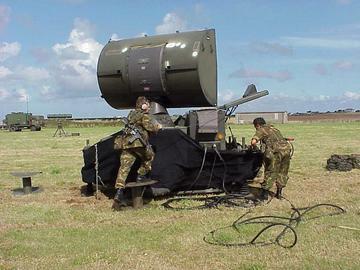 I thought CWAC meant "Continuous Wave Acquisition radar" I never understood the terminology. But we had one on ours site. I don't recall those....maybe just because it wasn't one I worked on or maybe because the Marines used an abbreviated system?Or, maybe I'm just getting old and not recalling. Well, in the 80s we definitely had the BCC...We were in Yuma, AZ and the BCC was popular because it was air conditioned! I saw those awesome F-22s up close, that's about it. No. But I don't feel earthquakes either so I'm probably not a good one to ask. Really? I worked for them for over 40 years and never saw an aircraft that was shaped like a flying saucer. There was something called the Avrocar that was a joint Canadian/American military venture that had a saucer-shaped craft, but it never worked and was shut down. I don't think NASA had anything to do with it. I've seen "pictures" of a large, circular aircraft allegedly from the Air Force but pretty sure those were fakes. I've driven on the ET Highway a couple of times and always come across this..